Day 1 : MORUM BARRIER GATE 12,362 ft.3,768 mt. ~SHIRA 1 CAMP 12,200 ft. 3,720 mt. Departure from Moshi for Londorossi gate, where you will complete entry formalities. Then continue up by car to Morum Barrier Gate another hour to reach the trailhead. Upon arrival at trail-head, eat lunch, then commence through heather and moorland which lead to the first camp,which is a descent only about 1-2 hours of trekking. The view of Kibo from across the plateau is stunning. Day 2 : SHIRA 1 CAMP ~ MOIR CAMP 13,800 ft. 4,205 mt. Trek across the Shira plateau, east toward Kibo’s glaciered peak. 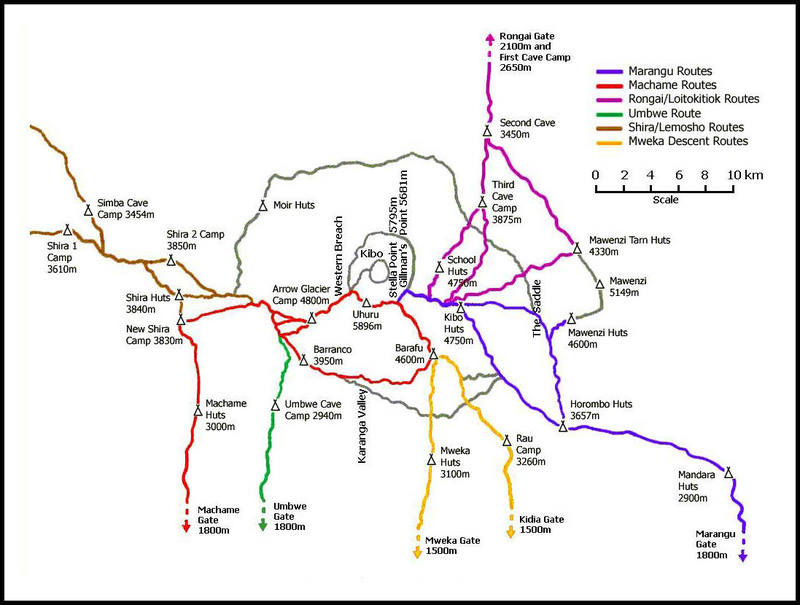 Kilimanjaro northern circuit route. Shira is one of the highest plateaus on earth, averaging 12,500 feet. We immediately veer away from the tourist trails toward the northeast edge of the Plateau to reach Moir Camp. The trek is about 4-5 hours over easy terrain. Moir camp is an isolated and seldom used camp affording views over the Shira Plateau. Day 3 : MOIR CAMP ~ BUFFALO CAMP 13,200 ft. 4,025 mt. Begin the morning trek heading out of the moorland and into the stark alpine desert, on a steep ridge off the main trail, and begin our venture on the Kilimanjaro northern circuit route. The total trekking time is about 5 7 hours. From the Pofu Campsite you will enjoy a magnificent view into Kenya’s wild lands to the north. 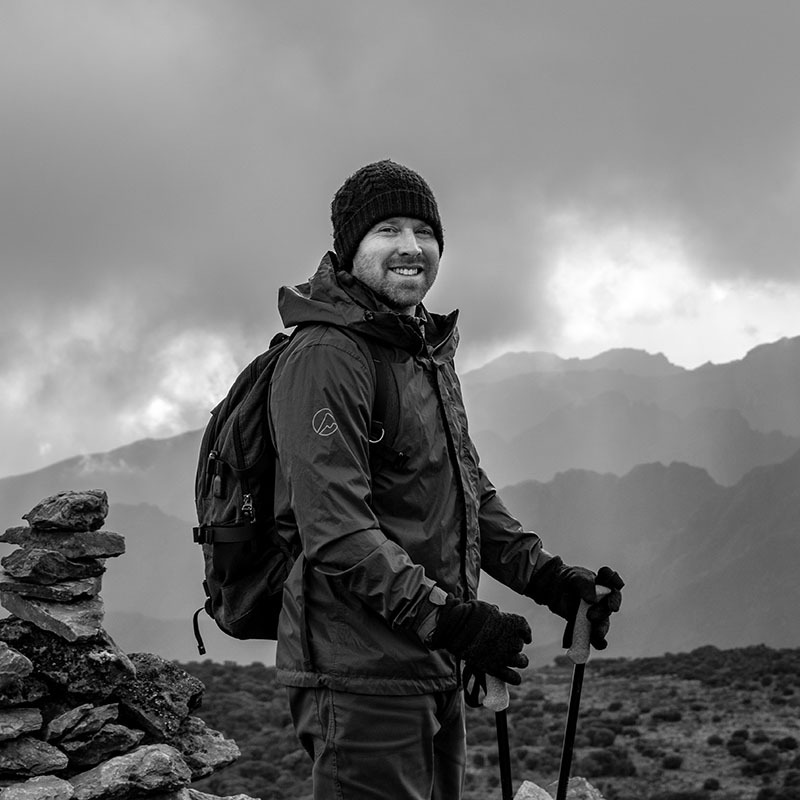 Proceed onward through valleys and over ridges through the alpine desert and moorland, continuing our circuit to the east, enjoying a vast mountain wilderness to ourselves. Kilimanjaro northern circuit route. Trekking time today is 5 7 hours. Trek 3-5 hours steadily upward to reach a placid mountain tarn lake at the foot of the majestically rising steep ridges of Mawenzi, Kilimanjaro’s second highest volcano. Kilimanjaro northern circuit route. The camp here is nestled along the tarn in a protected alcove with magnificent views towards the steeply rising rocks of Mawenzi. 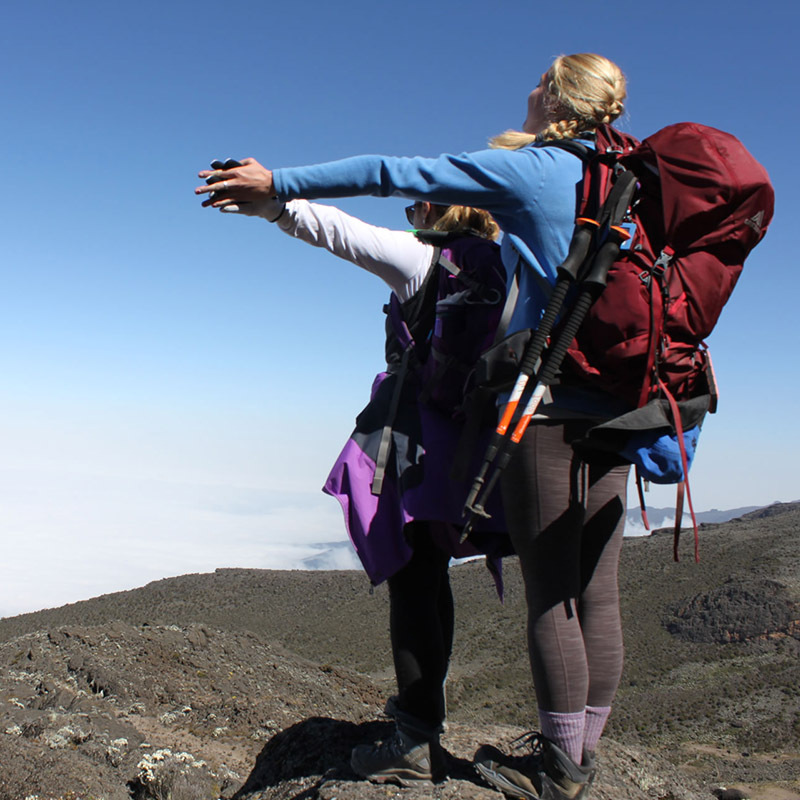 The trekking time today is 5 7 hours, though a relatively easy hike across the wide saddle between Mawenzi and Kibo. Kilimanjaro northern circuit route. Kilimanjaro northern circuit route. The trek takes you across the massive saddle- the crossing is impressive and the landscape spectacularly stark. 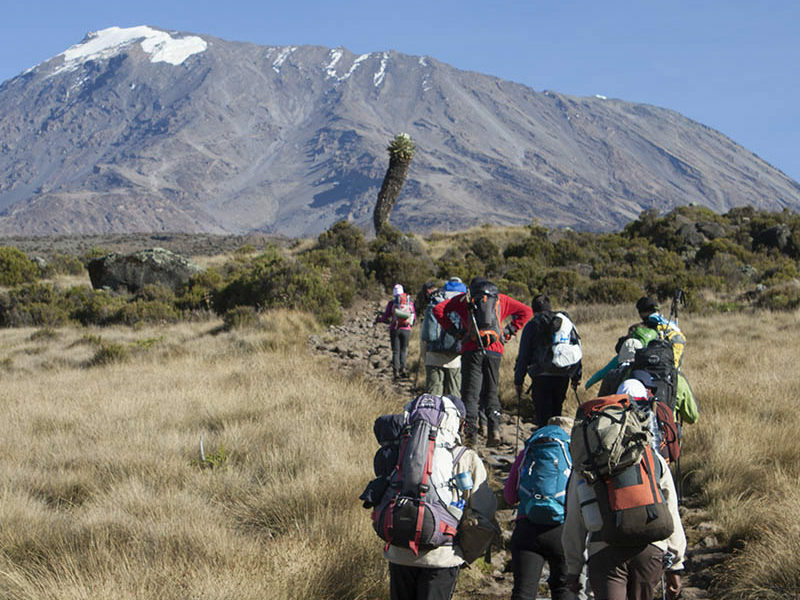 The temperatures turn cold as you near the foot of Kibo, reaching Outward Bound Camp after 5-7 hours of trekking. Kilimanjaro northern circuit route. Prepare all your gear for the day ahead, and turn in early to rest. A resupply of fresh food and supplies will reach camp on this afternoon. A midnight wake-up call is the start of a long trek. You begin trekking at 1am up the winding path of endless switchbacks. 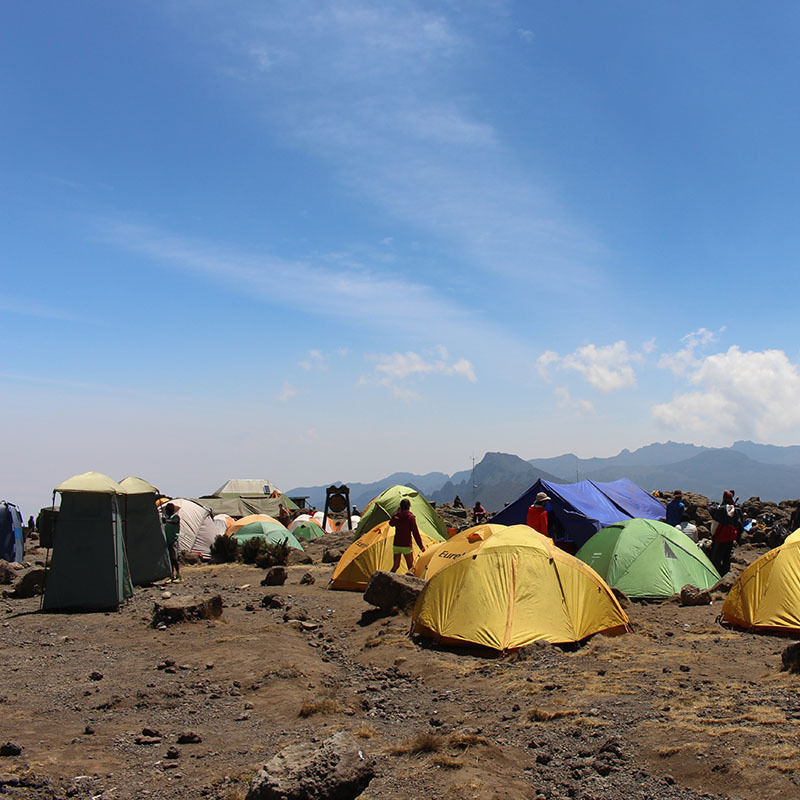 From your camp to the rim of the crater Gillman’s Point 18,750 ft. 5,712 m to Uhuru Peak, the trekking time is about 7 8 hours. The slope is steep, with switchbacks, over loose rock and screed with some boulders as you near Gilman’s Point. Kilimanjaro northern circuit route. You will stop at Hans Meyer cave on the way, the famous place where Kilimanjaro first western climber described in his journals. 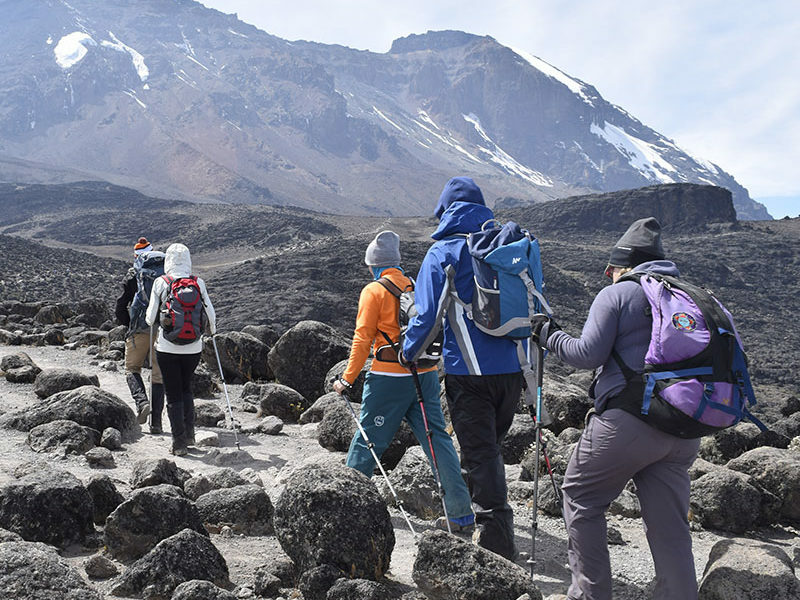 Once you arrive at Gilman’s Point at the edge of the crater, the trail to the summit is less demanding, and is reached after a further 1½-2 hours along the snowy crater rim depending on the season Kilimanjaro northern circuit route. After a short time at the summit, re-trace your steps back to Gilman’s Point, then summon your strength again for further descent to Mweka Camp for the night.